The New Zealand high country has been undergoing remarkable changes in land tenure over the last 20 years. Much of the marginal pastoral land has moved into the conservation estate, and much of the better pastoral land has shifted from leasehold to freehold. However, the process has been mired in controversy. The argument against land tenure reform has been led by Dr Ann Brower, until recently from Lincoln University and now from Canterbury University. Dr Brower has argued that runholders have been granted superior land-tenure rights on the lower country that have led to inappropriate land-use developments, which in turn have led to major windfall benefits for private individuals. In particular, the runholders have been able to sell their new rights for huge capital gains. The idea that it is all a big rip-off is now firmly embedded in the public psyche. Supposedly, the officials have messed it up under both National and Labour led governments, selling off our birth-rights to access these so-called public lands. Even worse, those benefits have at times accrued to foreigners. Missing from the debate has been an understanding of New Zealand land law, and the powerful bundle of rights held by leasehold runholders. In particular, runholders hold blocking rights which, in perpetuity, prevent the public from accessing their leased lands. Rectifying this situation, and bringing fragile mountain lands into the conservation estate, has been a major driver for land-tenure reform. Gaining public access via reserves and covenants to some of the lower country adjacent to the big South Island lakes has also been important. The way this has been done is via a trade-off. Runholders give up all of their rights to some areas, typically the high country, with additional rights given to them for other areas. The balance of transferred land rights then determines the net payment in either direction to ‘square things off’. There is no doubt that land-tenure reform has subsequently triggered major developments on some of the lower land. This has highlighted inadequacies of some local government district plans, and the absence of a capital gains tax has meant that capital gains have not been shared with the public. These are indeed flaws, but they are not flaws of the tenure reform process itself. Solutions to these problems lie elsewhere in the legal system. If we are to understand the events associated with land-tenure reform, then first it is necessary to understand the characteristics of New Zealand land-law. Regardless of tenure system, land can never be owned by individuals in the way that individuals own other assets. When lecturing to students at Lincoln University, I would often use my shirt or the watch on my wrist as examples. I would explain to the students that I owned those items in an absolute sense and I could do what I wanted with them. If I wished, I could also destroy them, by ripping the shirt and smashing the watch. In fact, I did neither – the limits of lecturer remuneration and sobriety acted as major constraints to such behaviour – but the point was that I could have if I wished. That is what absolute ownership is all about. However, in the case of land, no-one has the right to destroy it. Anyone who does destroy land by coming in with a bulldozer and shifting the land around without a permit, will at best end up with a considerable fine and may end up in jail. Land ownership is different. The distinctive characteristic of land ownership is that there are multiple forms of tenure, each with its own ‘bundle of rights’. Whereas the general public thinks that freehold tenure is ‘ownership’ and that leasehold tenures are ‘not ownership’, this is not what the law says. Underlying all of the land tenures is the notion that the ‘Çrown’, on behalf of all of us, has power as to what can and cannot be done with the land. In the New Zealand high country, land occupation was initially granted to runholders in the mid-19th century, most likely for little more than a song. Then in 1924, the runholders were given 35-year licences to occupy, but still with no guaranteed right of renewal. Then, in the 1940s, it was argued that the licence system contained a fundamental flaw. With no guaranteed right of renewal, there was a disincentive for runholders to look after the land. So, the 1948 Land Act gave them 33-year leases, with perpetual rights of renewal as long as they met good land-husbandry requirements. Rentals were set every 11 years, but only in relation to the unimproved value of the land for pastoral purposes. With hindsight, we can look back through the mists of time, and argue about the merits of the 1948 Land Act. However, the reality is that the granted bundle of rights is clear cut. A key right within the leasehold bundle is the right to ‘quiet enjoyment’. It gives leaseholders an absolute right to exclude the general public from that land, and to on-sell that right to future leaseholders. It means the public can be locked out in perpetuity. That exclusion relates not only to the high country, but to accessing, via runholder land, the shores of the big South Island lakes. In some respects, this access situation is not greatly different to access rules between a tenant and the freehold owner of a suburban house. Although the landlord holds freehold title, this landlord has no right to have a picnic on the front lawn. If the landlord wishes to inspect the property, then prior notification is required. These rights to quiet enjoyment have been greatly underplayed in public discourse. As a result, a key feature of tenure review, being the opening up of our mountain lands to all of us, and accessing the shores of the big lakes, has also been underplayed. In part, the underplaying has been because experts coming from overseas have not appreciated the rights which are specific to New Zealand law. For example, it is a very different situation than exists either in England, where there is ‘rights to roam’ legislation, and also very different to the public-access rights within America’s so-called public lands. 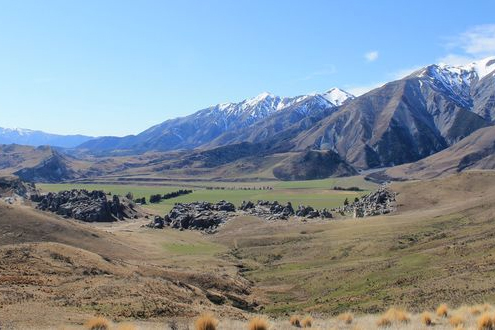 Way back in 1948 at the time of the relevant Land Act, access by the public to these New Zealand mountain lands would not have seemed important. Even in the 1960s when I started my own tramping and mountaineering journeys amongst our mountain lands, those of us with such interests were very much in the minority. In those days, if we wished to travel across runholder land we would simply call in at the homestead – a somewhat grand term for what were often in those days very simple houses – and ask permission. It was never refused. Over time, the friendly relationship between runholders and walkers has changed. The number of walkers has greatly increased. And so, more and more runholders have applied their legal right of quiet enjoyment, blocking out the rest of us. Within the public discourse, there have also been elements of what I call ‘noble cause corruption’. This is where a noble cause leads to information being miscommunicated, either consciously or subconsciously, to buttress the noble cause. In the case of high country land tenure, the miscommunication has been to ignore the legal rights relating to quiet enjoyment. Whereas the officials administering the tenure process have to work within the law and take account of the respective bundle of rights, the media is not so constrained. This has meant that the media has been able to highlight a story of freehold rights for the lower country being granted to the runholders for an apparently small price, without making it clear that it is actually only the balance between perpetual lease rights and freehold rights that the Crown has sold. In essence, the Crown’s freehold rights were to collect a modest annual rental from the leaseholder and not much more. In contrast, when some runholders, now with freehold rights, chose to on-sell the property, they were actually selling the combined rights including their prior perpetual access and use rights. My purpose here is not to argue that tenure review has been without flaws. There have indeed been flaws, particularly but not only relating to specific properties with subdivision potential. But the pros and cons do not all lie on one side. It is notable that 133 out of 303 runholders have either declined to enter or subsequently withdrawn from the voluntary process of tenure reform, because of its costs, complexities, and risks to pastoral viability from having a property of smaller size. In contrast, 130 reviews are complete, and 40 are in various stages of progression (LINZ website, updated December 2017). In moving forward, the solution is not to stop tenure reform. There is still much work to be done. But lessons do need to be learned, particularly about subdivision values, and with recognition that it is often the flaws in other legislation, including subdivision law, water law and the taxation of windfall capital gains, that have led to sub-optimal outcomes. *Keith Woodford is an independent consultant who holds honorary positions as Professor of Agri-Food Systems at Lincoln University and Senior Research Fellow at the Contemporary China Research Centre at Victoria University. His articles are archived at http://keithwoodford.wordpress.com. You can contact him directly here. Already spent $700,000 on new fences , plantings and crossings in last 6yrs (above repairs and maintenance). Thoughts ? Just a couple of questions. Why couldn't these transactions have been structured in such a way as to avoid this eventuality? i.e. amortize the runholder's share of the freehold over a number of years so they couldn't turn around and flick it for a huge tax free capital gain? Also, why is it that rights/gains once handed over, e.g. perpetual leases during the 1948 Land Act, never seem to be reversed? Isn't this the definition of "privatizing the gains while socializing the losses". Good points Keith. A couple of points to add. Prior to 1948 the SI high country was a mess. The short term licensing system that existed before that lead to unsustainable practises. If you had a lease for just a few years the incentive was to take everything possible of it. There was nothing returned to the land, no pest control etc. with huge flocks of sheep carried. The vegetation was decimated and erosion was a huge problem. Pastoral leases were implemented to ensure good husbandry of the land and sustainable farming practises. In this pastoral lease tenure has been overwhelmingly successful. Tenure review was first instigated as a way of taking land from leasehold tenure to freehold so that it could be developed for more intensive agri-farming purposes (e.g. vineyards). The system was later enshrined in the Crown Pastoral Lands Act 1998. This Act has a number of objects but one of the primary objects is to enable land capable of economic use to be freed from the constraints of pastoral lease tenure (i.e. to be freeholded). Economic use is not limited to pastoral farming. Subdivision and development may be a perfectly valid outcome. The failing is on the valuers to recognise that when the respective interests are assessed. In my view one of the failings of Tenure Review is that there is no middle ground. Sometimes the best option would be to retire some land to DoC, freehold some land and retain a pastoral lease over some land but as the system operates now it forces a black and white separation of interests. There are some things, such as life, death and pregnancy where the condition is binary. Either one is or is not. Similarly, with land tenure. Either one does or does not hold a particular tenure. The so-called tax free capital gains have been greatly inflated by confusing the total freehold value with the residual rights which the Crown has sold, that being the difference between leasehold and freehold rights. Nevertheless, there have been substantial capital gains, as has been the case for property owners of all types in recent years, including urban properties. In most Western countries ( e.g the USA, UK, Canada and Australia) these would be captured as taxable capital gain, but not in NZ. It is very difficult to remove property rights once granted. It has been done in some Communist countries, but then reversed once capitalists came back into power. Here in NZ the role of the Courts is to interpret existing law, and this can include reassessment as to what 'landowners' (freehold or leasehold) can do with their land. We are seeing that happen, for example, in regard to District Plans. However, to take away existing defined property rights (such as to perpetual quiet enjoyment) would require new legislation which would be absolutely precedent setting. I doubt if any Government would try to go there, as it would run absolutely counter to the principles of a property owning democratic society, with huge ramifications. Some form of easement over properties to facilitate access by land for the public would cause the sky to fall?? I doubt it. An easement for such purposes is taking away the landowner's Right. Surely the loss of that Right should be paid for. I suppose it could be done the same way Maori land was taken under the public works act, till relatively recently, with the equivalent of a one finger salute, and you aren't even actually taking any land away. Perhaps it can be shown that the process was flawed, as Maori tribes did for the confiscations. English law is a wonderful thing. Land including freehold land is often taken under the Public Works Act, for many purposes, but compensation has to be paid. The Government usually tries to negotiate, and will pay somewhat above its own valuation to avoid legal wrangling over the value. But there are limits to the Governments generosity. Easements are also often part of Land Tenure Reform, although some would argue they should have been used more extensively, specifically on the lower country to achieve better access to the high country. Easements do create challenges for management of pastoral properties and runholders expect that to be reflected in the amount of compensation. The extent to which easements complicate property management has been a bone of contention between parties within the tenure review process. I find it disheartening that when I've been in the UK, the ability to run over so much trails over farmland is so fantastic compared to being back home in NZ and looking at all this open farmland knowing that you're likely to get shouted at if you dare set foot on it, rather than a friendly wave back in the UK. I've been fortunate to go hunting on DOC land here that is bounded by 'private' land, but managed to get access. The deer numbers were ridiculous. But for having that access through a third party, the DOC land may as well have been on another planet. To suggest some bad decisions have been made is one thing; to suggest that the overall process is corrupt is another thing and a very big call. So who is it that is being accused of being corrupt through cronyism? Is it the Commissioner of Crown Lands? Is it LINZ? Or is it someone else? It is a good idea to make sure one understands the process, and the relevant law, and who has to sign off on the final agreements before getting too loose with the tongue. However, my guess is that the new government may well set up a review to assess what lessons can be learned and guide the process going forward. That may help to clear the air. It was interesting that neither Dr Brower or the current Stuff article asks the important question - what other legal methods could be used to acquire more land for DOC? 14 years ago under Helen Clarke, a program of high country and purchases was undertaken - St James, Tambrae, Twinburn, Landsborough and Birchwood at Omarama are examples. These were very expensive relative to farming based valuations. Here are a couple of examples. St James alone cost $40m in 2008 which was $2,500/su (prices at the time were around $800/su). Birchwood was purchased in 2004 for $10m ($1200/su) at a time when its farming value was $500/su. These purchases make the tenure review process look like a bargain, as these purchases place a value on the conservation value of the land, whereas the tenure review process focuses the value on the freeholded component and doesn't value the conservation element, as that isn't required. However if the leaseholder is getting 50 or 55% of the value, it can give you an idea. Therefore, if a leaseholder receives $5m, then the conservation component is worth around $5m, which would be a lot cheaper than if the above mentioned stations had been purchased on the same market (iwhere the land price rises since 2004 have been factored in). I agree that St James in particular was an eye watering amount. Birchwood also got a very good price based on the stock units it carried. In the case of Birchwood, I believe that property would have sold very well under its existing leasehold tenure as a 'bolthole'. And so if the Government wanted it, that was what they had to pay. The Upper Ahuriri, where Birchwood is sited, is an incredible gem which most NZers do not even realise exists. The existing leaseholder was a canny negotiator, and like all leaseholders, was under no compunction to sell. In the case of St James. I lack sufficient first hand knowledge (I have only traversed part of the property) to have a good idea as to what the market would have paid, but others have assured me that the $40 million was appropriate, and it would have been signed off by Helen Clark, advised by her officials, on that basis. As for alternative legal means to acquire the high country lands, it is something I have thought about, but for which I have no ready answers. The Government could have cranked up the lease rental rates by various mechanisms, which would in turn have raised the unimproved value and reduced the leaseholders share of total value, but such changes may have had to withstand various court challenges on the grounds of fairness, and those challenges may well have been successful. Following on with your comments Keith, I think Fish & Game tried to reduce the rights of leaseholders in the courts 10 Years ago but lost. And as a test case, Minaret Station (Wanaka) was charged a significantly higher rent based on "amenity" values. It was thrown out in 2009 by the Land Valuation Tribunal in 2009. While it was not successful, it soured any relationship that had existed between the Government and leaseholders. I think the Minarets Station case was pivotal in constraining the Crown, acting through the Commissioner of Crown Lands.